Help ensure a legacy of religious liberty in America for your children and grandchildren by considering a bequest today and becoming a part of the Walter Cronkite Legacy Society. Among the opportunities for giving we hope you’ll consider is a charitable bequest in your will. This estate-planning option is a simple way to enhance your legacy and help us protect faith and freedom in the years to come. You can accommodate multiple giving priorities. A bequest can be made as a percentage of your estate, so you can ensure that your loved ones and favorite causes benefit in relative proportion. Interfaith Alliance can also be named a contingent beneficiary – meaning the needs of surviving beneficiaries come first. You have security. 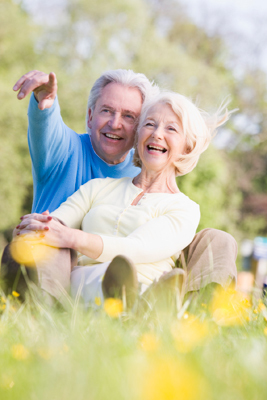 A bequest allows you to balance your charitable giving wishes with your current needs. Because you aren’t parting with your assets today, you don’t need to worry that you’ll run into financial difficulties in the future as a result of your gift. You can change your mind at any time. We understand that circumstances change, and your gift to us in your will may no longer be possible in the future. Your estate can receive tax benefits. In addition to the heartfelt satisfaction that comes with giving, making a bequest to a charity can provide tax benefits to your estate. 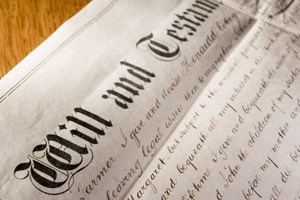 A contingent bequest, should one or more of your beneficiaries not survive you. Your bequest may include cash, stocks, mutual funds, bonds, life insurance policies and retirement assets such as IRAs and 401Ks. Please note that these gifts can be made outright during life as well. Click on the links provided to learn more about making outright gifts of securities or retirement assets today. Donors often seek giving options that can help avoid significant taxes on their estate. Naming a charity as the beneficiary of the residue of your 401K, IRA or other qualified retirement plan can be very beneficial as you can escape estate taxes on the remainder left in your account. This is particularly noteworthy considering that retirement assets are often the most taxed assets in an estate. Naming Interfaith Alliance as the beneficiary of a retirement asset does not affect your ability to make withdrawals during your lifetime. And of course, you can change the beneficiary of a retirement plan if circumstances change. As always, we recommend that you consult with your financial advisor or attorney to ensure that all your objectives are met, as gifts have varying benefits depending on if they are made outright during life or through a bequest. Making us aware of your bequest is optional, but very helpful. Doing so allows us to acknowledge your generosity and recognize you as a member of our Walter Cronkite Legacy Society, a group of dedicated supporters who have also included Interfaith Alliance in their estate plans. Informing us also helps us better plan for the future. As always, please consult with your financial advisor or attorney to ensure that all your objectives are met. For more information on this and other estate planning options, please email PlannedGiving@InterfaithAlliance.org.